JayDez Tech: The New Blender Support Network? The New Blender Support Network? 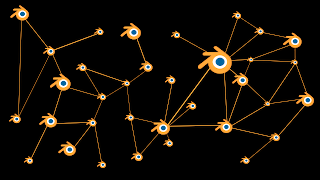 Announced in this week's Blender Developer's Meeting notes, is a new idea for a Blender support network. The proposal (which can be found using the link above), is a great idea for connecting professional Blender artists and customers. It is an easy way to provide support to studios as well as individuals. There will be various ways of "networking" with fellow artists and corporations. And each member will have a private page which can be updated with jobs he/she has done, and other information. If the proposal goes through the BF has already asked Lumikuu to help set up the network and then maintain it for the first couple of months. You can find the discussion thread on blender.org here. We'll see how far this goes in the coming months, but this could be the new big thing for Blender.